What is Family Foster Care? Foster care provides a temporary safe, stable, and nurturing environment in a family setting that best provides continuity of care in order to preserve relationships, promote well-being, and ensure permanency for children. 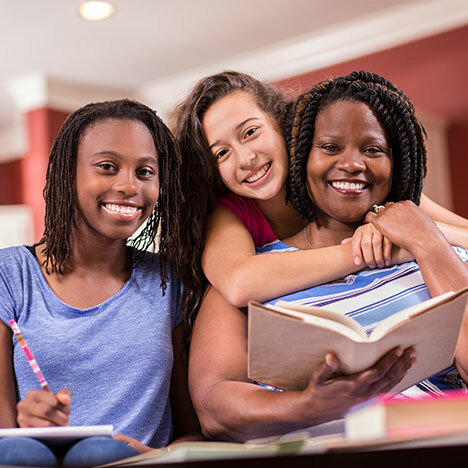 Foster parents are licensed substitute caregivers who provide a temporary home to children while the birth parents or family of origin address concerns which led to the out-of-home placement. If you would like to apply to become a foster care giver click here. Children of all ages whose parents or guardians are temporarily unable to provide proper care for their children. How long do children stay with foster families? Children typically stay in foster care until the original family dynamics which prevented the parent or guardian from caring for them have been resolved. The Juvenile Court ultimately determines when children return home.